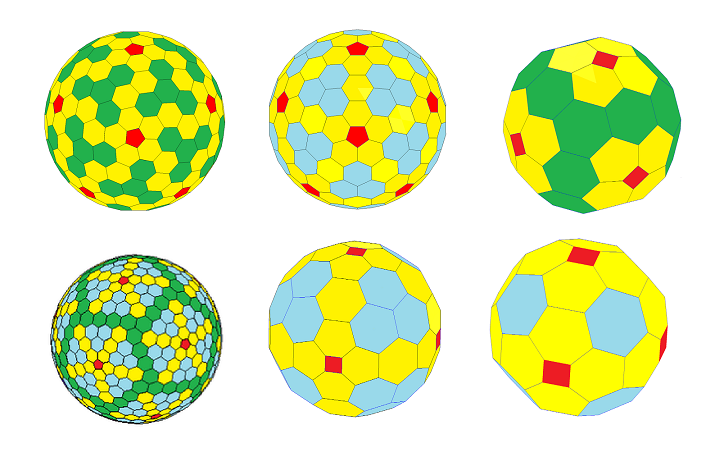 The new shapes belong to a well-known category of shapes called fullerenes. However, unlike most previously known fullerenes, the new shapes’ hundreds of faces are flat rather than warped, and the atoms in the molecule are equally spaced. - all of their faces are “planar”, which is very important, meaning that the faces lie flat and do not bulge in or out.